1. 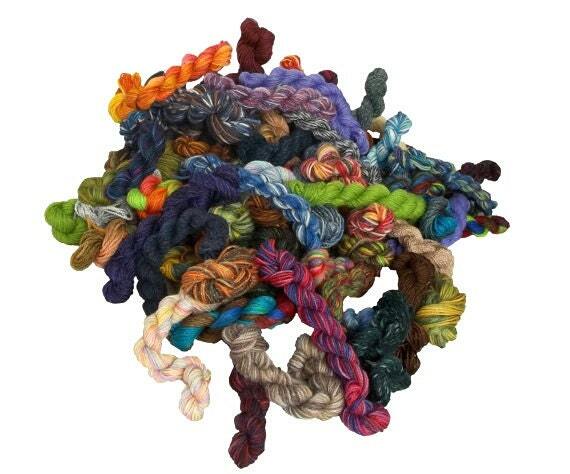 Where does your yarn come from? We scour sales and more sales to bring you as big and joyous an assortment possible. 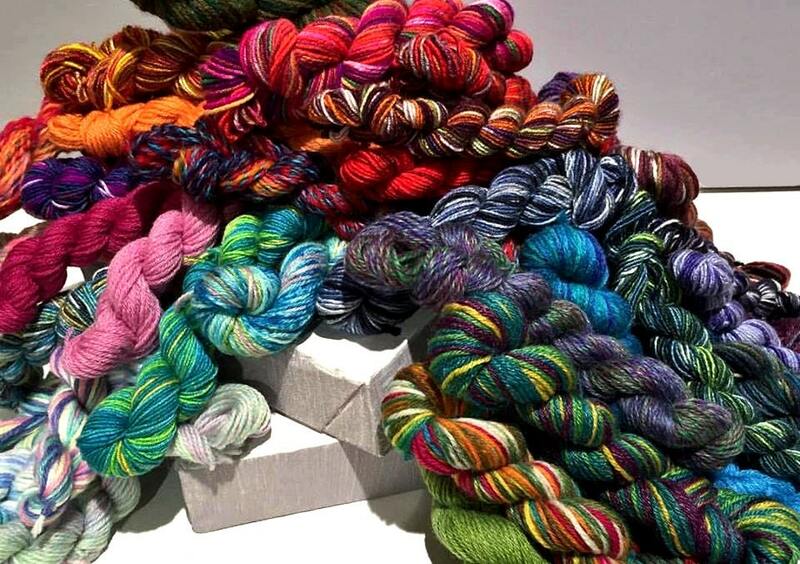 We shop and re-skein so you don't have to! 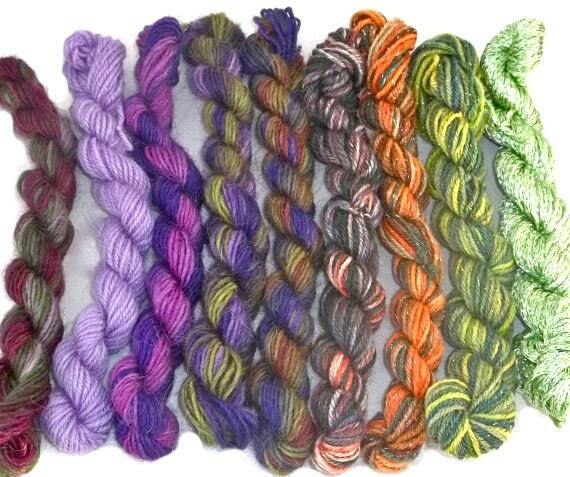 *variety* we will wind off white yarn and dye it for you, every skein in different colors! 5. 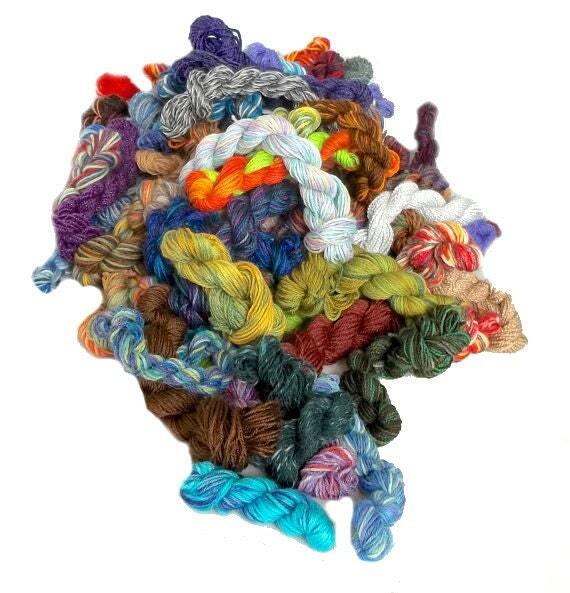 What are your base yarns for dyeing for this order? Currently, we are using two base yarns. One is a 75% Superwash Merino and 25% Nylon, the other is 60% Superwash Merino, 30% Bamboo, 10% Nylon. We especially loooove the later for it's sheen and softness, and use it more often than not. FYI: We're cat, dog & rabbit friendly people, but we have a separate studio facility where our fibers are stored and prepped. 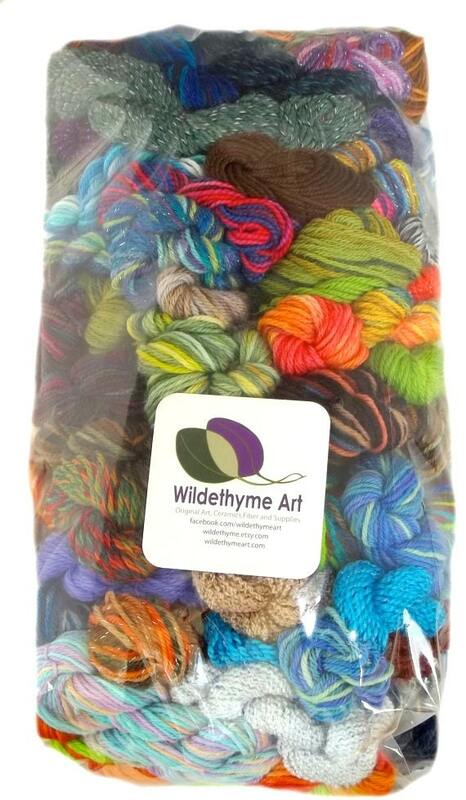 Great grab bag of goregous yarns! Plus, the shop owners are happy to accommodate requests and responsive with any issues. Couldn't recommend highly enough! Awesome mini skeins for hexipuffs! Great picks of colorways. Quality mini skeins- as always! Thanks for the fast shipping! Quality, fun yarn once again! Fast shipping! Thank you.